Handbill articulating the rules and regulations for the staff of the Out-Door Department of Mt. Sinai Hospital, ca 1890. 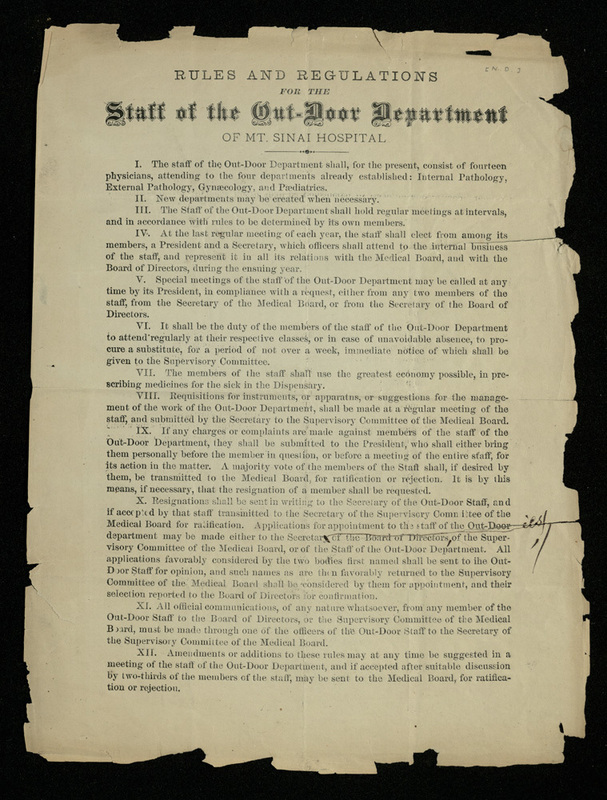 Mount Sinai Hospital (New York, N.Y.), “Rules and Regulations for the Staff of the Out-Door Department of Mt. Sinai Hospital,” The College of Physicians of Philadelphia Digital Library, accessed April 24, 2019, https://www.cppdigitallibrary.org/items/show/7019.